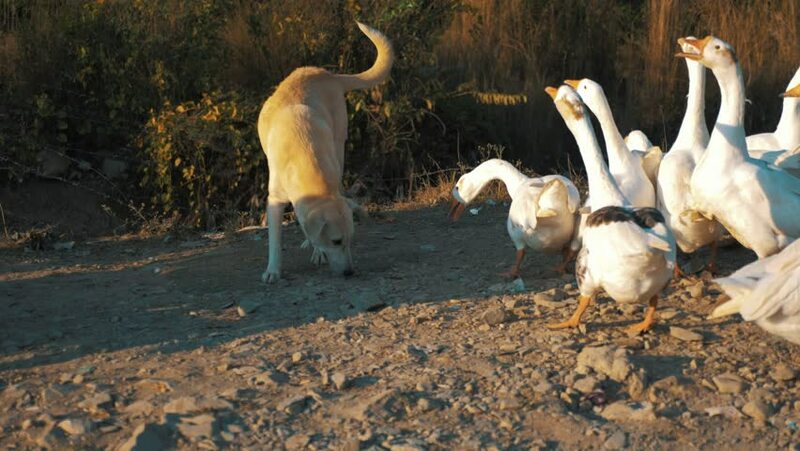 A yellow dog and a flock of white geese. The dog becomes aggressive and chases them. Slow motion. hd00:17Pair of birds walking together. hd00:15The farming of ducks for meat. A small farm. White and mottled ducks at the farm. 4k00:14Close up rooster and chicken in a patio in the backyard.